This is an instructional pattern by Cut Loose Press to make the displayed quilt. 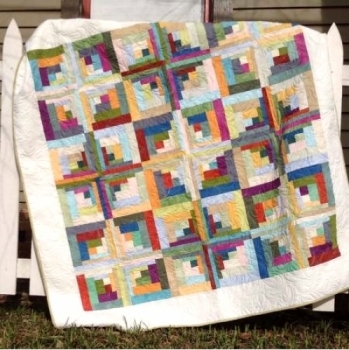 Instructions for 12 traditional block sampler with a fresh modern look. Each block can also be a repeated for a single block quilt.